Founded in 1821 and chartered by the United States Congress, George Washington University takes full advantage of its location in the midst of the nations capital. Students have the opportunity to plug into the extraordinary world of Washington, the political, policy, and research centers that move our country and the world. 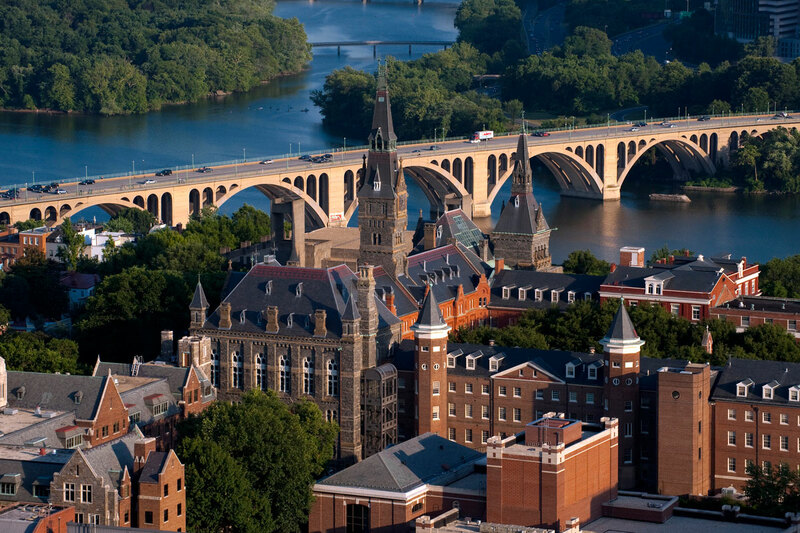 And because GW is so close to the centers of thought and action in every field offered, it is easy to integrate its academic tradition, special programs, and faculty connections, with the best internship and job opportunities in the Washington metropolitan area. The University of Maryland, the state's flagship university, inspires students' ideas and sparks their passions while bringing them deeply into the life-changing process of discovery, innovation and entrepreneurship. Living-learning environments, hands-on research and experiential learning expand on classroom study. Collaborations across disciplines enable the understanding of complex national and global problems like cybersecurity and climate change. As the only public research university inside Washington, D.C.'s beltway, UMD gives students unparalleled opportunities to work with nearby federal agencies and labs, such as NASA's Goddard Space Flight Center and the National Institute of Standards and Technology. 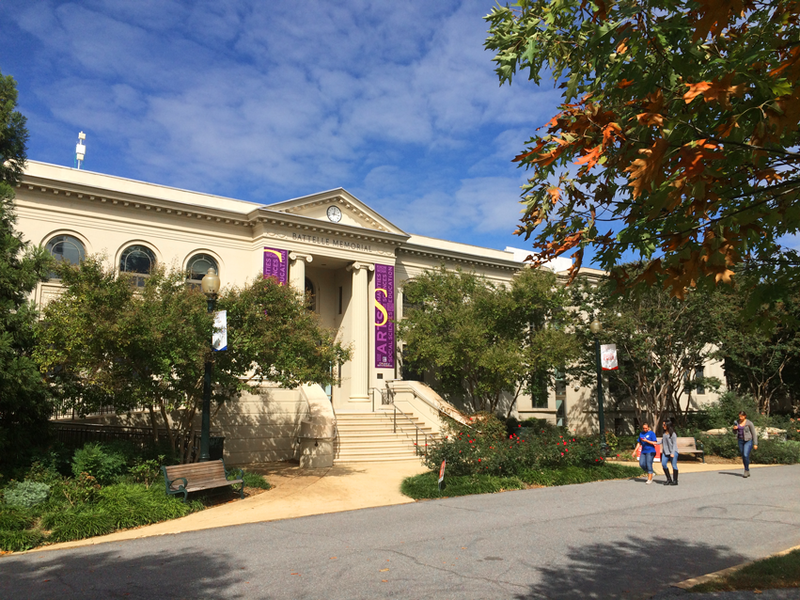 American University is a student-centered research institution defined by its global outlook, practical idealism, and passion for public service. Undergraduate students choose a personalized curriculum of theoretical study and experiential learning in classes taught by internationally-recognized faculty. By choosing to double major, enroll in an interdisciplinary program, or design a custom interdepartmental or interschool degree, students can plot their own academic course. They take full advantage of their location in the nation's capital, which is a laboratory for applying knowledge and affecting meaningful change. 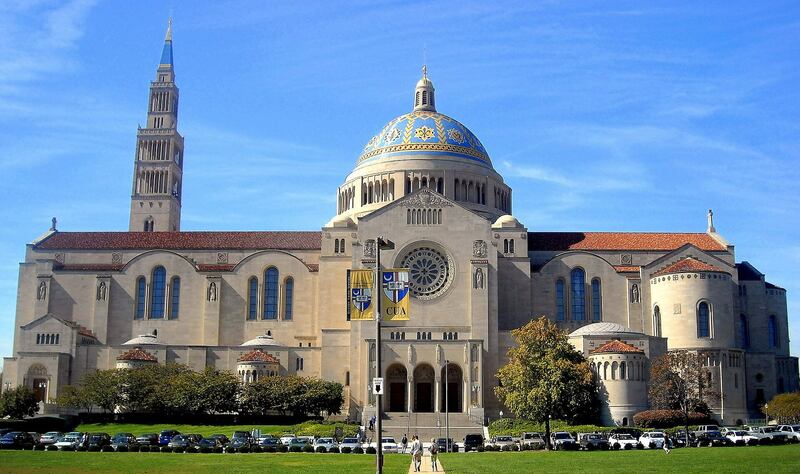 The Catholic University of America is unique as the national university of the Catholic Church, with the added distinction that all undergraduates combine a base curriculum in the liberal arts with more in-depth courses from their major fields of study. That foundation offers undergraduates unique opportunities to conduct scholarly and scientific research in their fields of study, working closely with faculty. Undergraduates begin their academic career with an experience which introduces them to philosophy, theology, rhetoric, and logic through study in small, supportive learning communities. 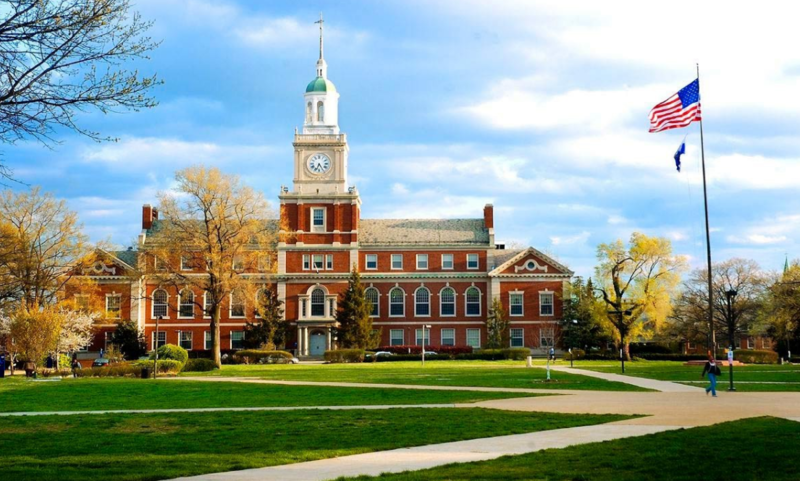 Howard University is a culturally diverse, comprehensive, research intensive and historically Black private university providing an educational experience to students of high academic standing and potential, with particular emphasis upon educational opportunities for Black students. Moreover, the University is dedicated to attracting and sustaining a cadre of faculty who are, through their teaching, research and service, committed to the development of distinguished, historically aware, and compassionate graduates and to the discovery of solutions to human problems in the United States and throughout the world. 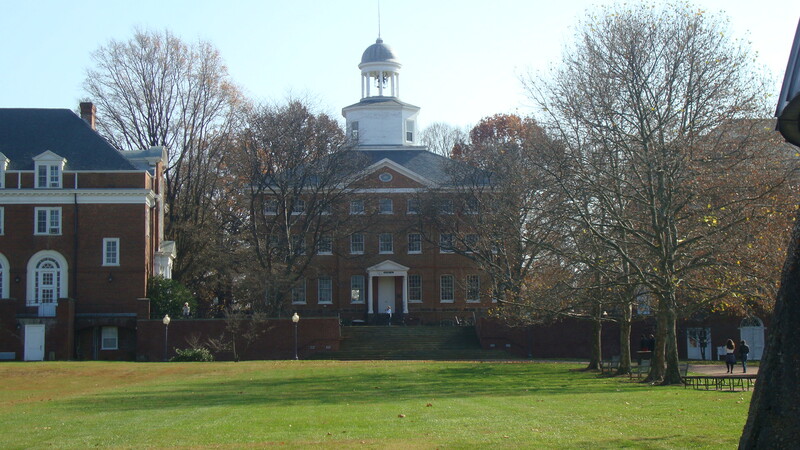 As America's first research institution, Johns Hopkins University is well known for innovative advances in everything from technology to history. The university emphasizes the importance of exploration and discovery in the undergraduate experience. Learning occurs through hands-on experiences across all academic disciplines and within every subject imaginable. The lack of a core curriculum fosters academic freedom, which allows students to create their own interdisciplinary paths. 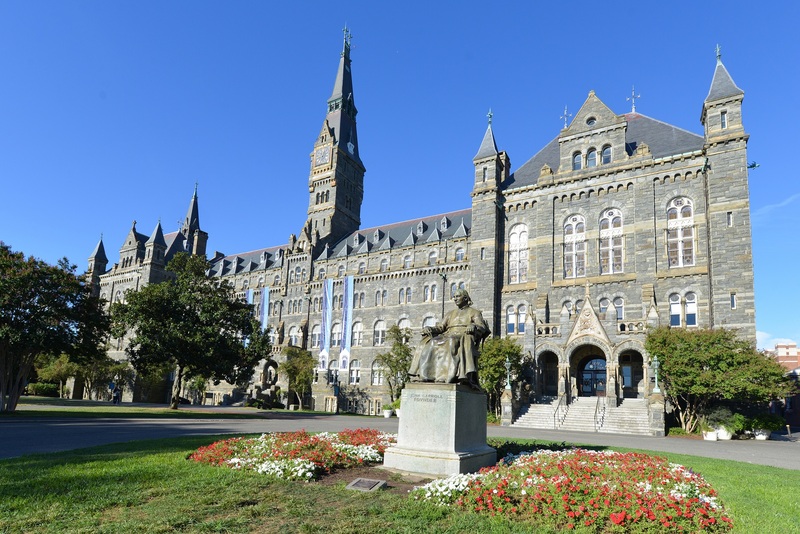 A Catholic, Jesuit comprehensive university in Baltimore, Loyola University Maryland is committed to the ideals of liberal education and the development of the whole person, a university dedicated to inspiring its students to learn, lead and serve in a diverse and changing world. This mission is embraced through an undergraduate curriculum, rooted in the Jesuit tradition of the liberal arts, which prepares students for success in wide-ranging professional pursuits and graduate studies. 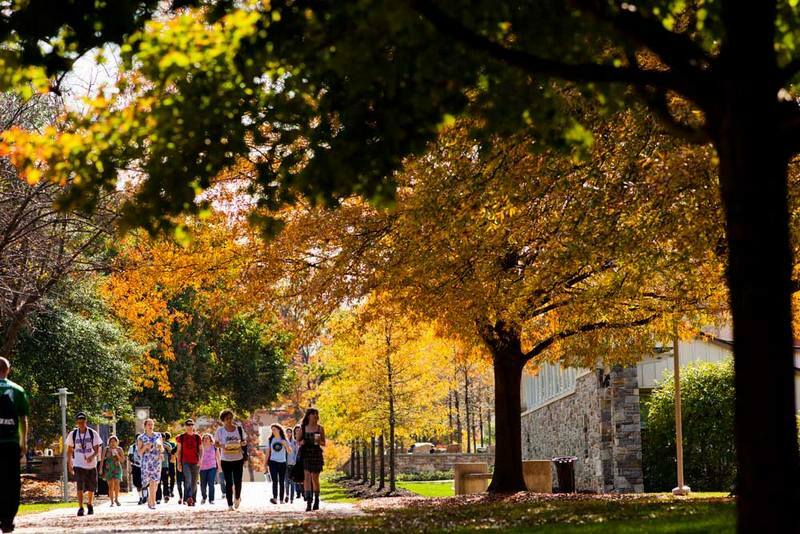 Goucher is preparing its students for the jobs of the future. 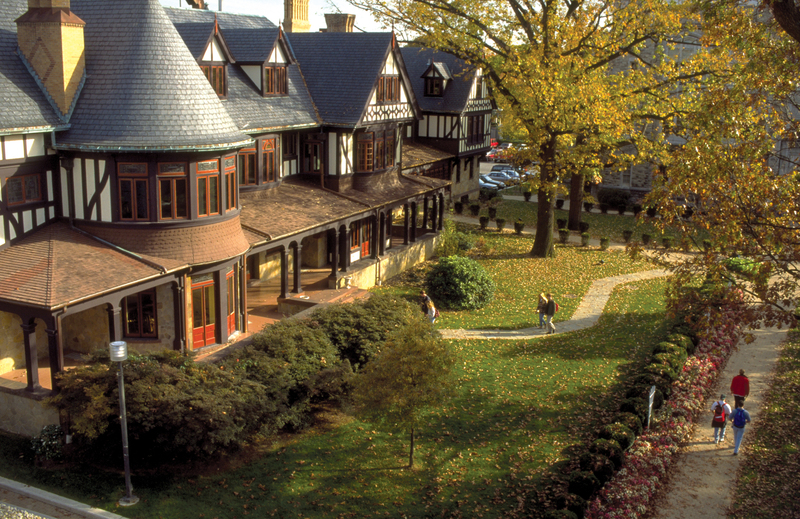 Located just outside of Baltimore, MD, the college focuses on helping students become self-directed learners who can change their minds, learn from others with different views, and understand that the future is always evolving. Students learn how to think creatively and critically, how to process new information and experiences, and how to use these skills to solve complex problems with people who are different from themselves. One way the college helps its students achieve their goals in school and in life is by focusing on the 3Rs: relationships, resilience, and reflection. Goucher understands faculty and peer relationships are a prerequisite for learning, resilience is a stronger predictor of success than intelligence, and students must be able to reflect on how they learn best in order to continue acquiring knowledge after graduation. St. John's College has one purpose, one curriculum, and one distinctive identity. The college is centered on reading and discussing the great books of Western civilization across the spectrum of human thought. Alongside names such as Plato, Shakespeare, Euclid, Nietzsche, Einstein, and Austen, students wrestle with ideas in interdisciplinary classes of 20 students or fewer. Students call themselves Johnnies, and they are original and unconventional, love big questions and discussion, and are excited to join an intellectual community of thinkers. I really wanted to jot down a brief comment so as to thank you for some of the fabulous guidelines you are giving out at this site. My extended internet investigation has at the end of the day been compensated with really good know-how to exchange with my good friends. I ‘d express that we visitors actually are definitely fortunate to be in a very good community with so many awesome individuals with very helpful tips. I feel somewhat lucky to have encountered your website and look forward to many more awesome times reading here. Thanks once more for everything. Thanks a lot for giving everyone an extraordinarily marvellous opportunity to read articles and blog posts from this web site. It’s usually very excellent and as well , full of a good time for me personally and my office acquaintances to visit your blog minimum 3 times in 7 days to read the new tips you have got. And indeed, I am also actually satisfied with the spectacular tips you serve. Selected 1 ideas in this article are unequivocally the very best we’ve ever had. Thanks a lot for giving everyone an extraordinarily memorable possiblity to check tips from this site. It’s always so pleasing and as well , packed with a good time for me personally and my office co-workers to visit your blog not less than three times in a week to find out the latest stuff you will have. And indeed, I’m also usually pleased concerning the special advice you give. Certain 2 ideas in this posting are in fact the most impressive I’ve ever had. I simply want to mention I am beginner to weblog and definitely savored you’re web-site. Probably I’m want to bookmark your blog . You actually come with excellent writings. Thank you for sharing with us your web site.